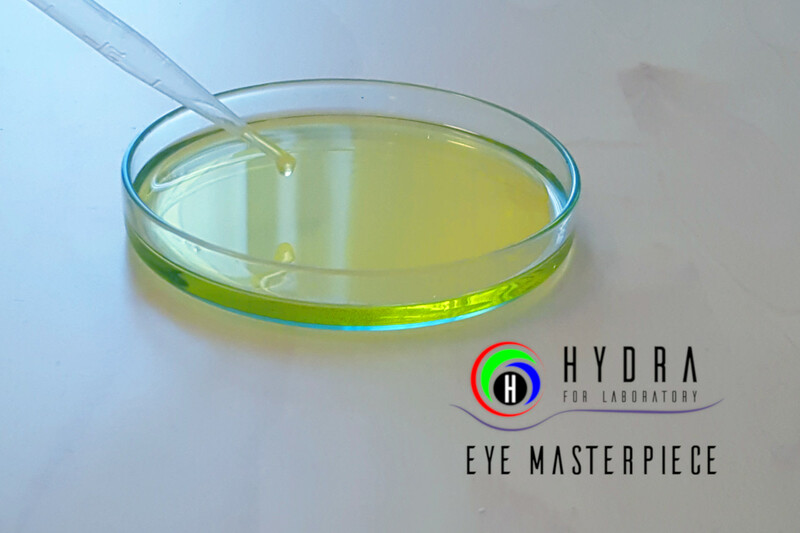 Starting from today, there will be no need for tests, methods, and tricks to understand whether the extra virgin olive oil has been counterfeited: with Hydra for laboratory the truth comes to the surface! Hydra for laboratory can now also help the olive supply chain to protect itself against counterfeits. We will show you how this tool is able to detect 2 actual drops of sunflower oil in extra virgin olive oil. What is Hydra for laboratory? 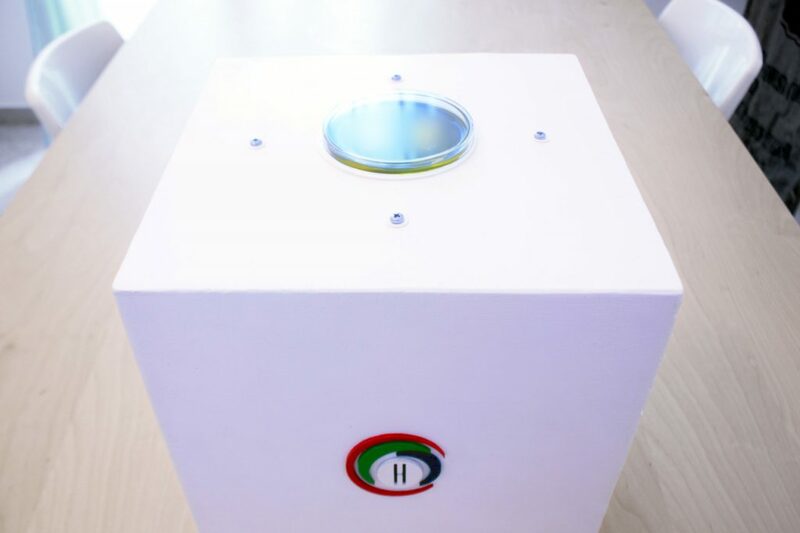 Hydra for laboratory is an innovative UV-VIS spectrometer, designed for food processing, with which it is possible to analyze raw materials, semi-finished products and wastes, in order to infer the status of the production process in real time. 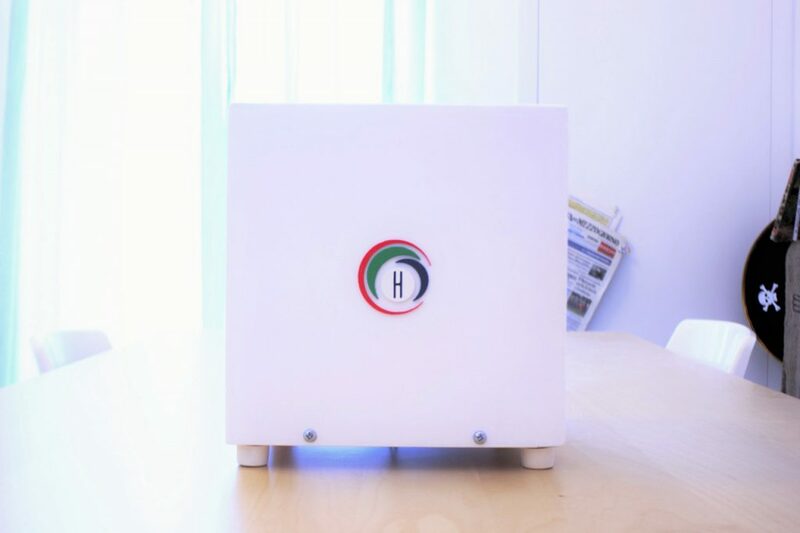 It has a very high sensitivity: it manages to identify very small variations in the UV-VIS spectrum, determining the type of variation: from the incidence of the machines in the production process to the presence of polluting or doping substances. The software allows to determine the spectral differences in multiple color spaces (CIE XYZ, CIE Lab, Hunter Lab, CIE Luv, CMYK, HSL, etc. ), indices of divergence between spectral curves and colorimetric distance calculations (CIE76, CIE94, CIEDE2000, etc.). Communication between Hydra and the PC is via a comfortable WiFi connection (IEEE 802.11 b / g / n), therefore, it can be strategically placed anywhere. The UV-VIS spectrum is composed of thousands of points and is very intricate: interpreting it and understanding which frequencies are the most important variations to consider can be a serious problem. Hydra for laboratory’s software offers the possibility to examine the graph CSC (Caronte Space Color): in this chart, you can see the frequencies where the main differences between the various samples are concentrated. CSC is an index, therefore, that intuitively represents the differences between the various samples examined and is the result of continuous experiments that Caronte Consulting has conducted together with its customers, identifying with them the best way to make the operator understand how to correctly interpret the spectral differences. In order to show the enormous sensitivity of the instrument and the usefulness of the CSC, we set up an experiment with two types of oil: extra virgin olive oil and sunflower oil. 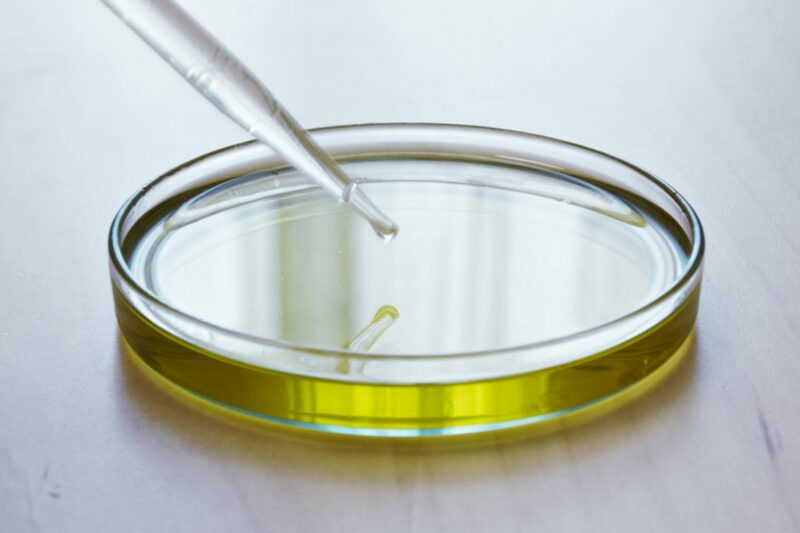 The experiment consists in altering sample of extra virgin olive oil with 2 drops of sunflower oil. At the end of the experiment, we should be able to understand if we actually see differences in the spectrum of the two samples, and in which frequencies they are located. In a Petri dish, we poured 56.5 ml of extra virgin olive oil obtained from coratine olives, produced in 2017 with the cold pressing technique (~ 14/16 ° C). We positioned the sample on Hydra for laboratory and we determined its UV-VIS spectrum: this spectrum will be our reference for comparison. We then added 2 drops of sunflower oil and we analyzed the spectrum of the altered oil, comparing it with that of olive oil. The presence of sunflower oil is about 0.18% of the total volume: it is a very small quantity and it is really difficult to identify it. Not for Hydra though: its high sensitivity allows us to identify the differences. The CSC graph shows peaks of the spectral difference, also indicating the nm in which these are located (red arrows). ARE YOU INTERESTED IN THIS INSTRUMENT?